Every new set means new toys to play with in all of the Constructed formats, and Core Set 2019 is bringing plenty to the table. The Standard metagame will undeniably shift as it does with every new set, and Core Set 2019 looks like it'll have an impact on the Modern metagame as well. Only time will tell how much of an impact it will make in the long run, but there look to be some solid role players across the board, so let's get to brewing with some new cards! Let's start with some tribal decks, where Bant Spirits is a clear winner with the printing of Supreme Phantom. I particularly like being able to curve Supreme Phantom into Spell Queller and having Spell Queller be out of Lightning Bolt range immediately. I don't have too much to say about Bant Spirits, as Ross Merriam covered this archetype earlier in the week , but this deck is looking pretty strong now with the addition of a two-mana lord. I think some players may want to play Remorseful Cleric in the sideboard over Rest in Peace since it's a Spirit and can be found off of a Collected Company, but as I talked about with G/W Company , in Modern it's important your sideboard cards can win games on their own. Against the graveyard decks where you need a hate card, Rest in Peace is the best card for the job as it will keep your opponent's graveyard exiled the entire time. Even though Remorseful Cleric can attack, that's not as important as you're most likely going to be sacrificing it at a crucial time anyway. 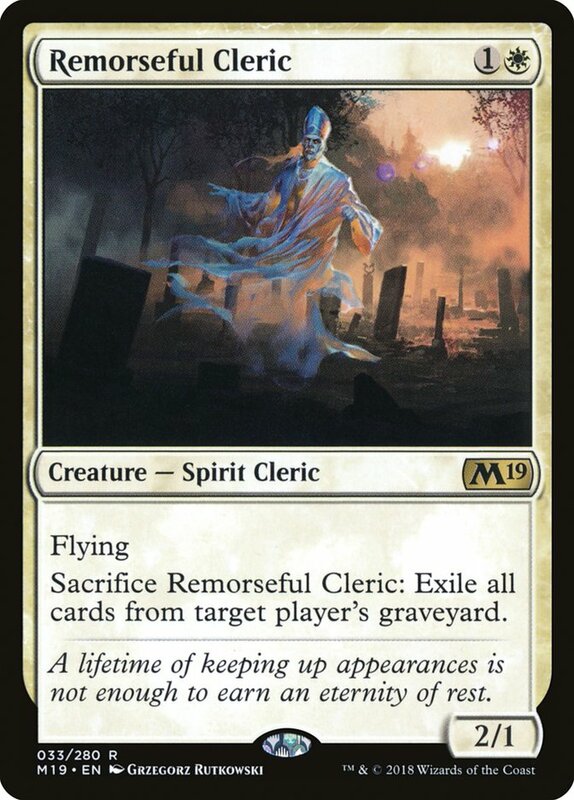 I like Remorseful Cleric as a maindeck option in some metagames where having graveyard hate is very important, but as far as a sideboard card, stick to Rest in Peace. It looks like new two-mana lords are all the rage! 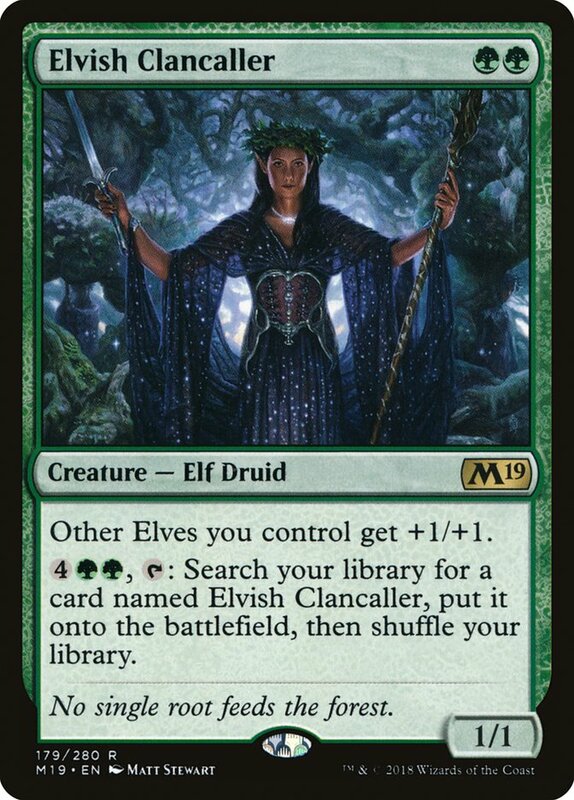 Elves also receives a new upgrade with the printing of Elvish Clancaller, which I think will be good enough to fit in the deck despite the fierce competition for creature slots in the deck. 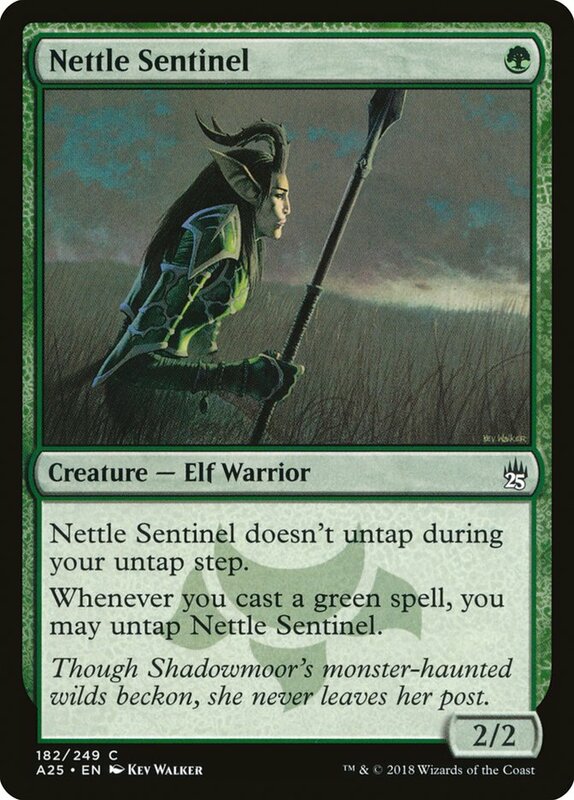 The card I decided to cut to make room for the Elvish Clancallers is Nettle Sentinel, because although it can be incredibly explosive with Heritage Druid, it also has a low floor if you don't have other green spells to cast. In fact I built this list around a Magic Online competitive league 5-0 by cruzado10, who didn't play Nettle Sentinel in the first place. I particularly like the second ability of Elvish Clancaller in the current builds of Modern Elves and believe some people may be sleeping on it. Between all of the mana creatures, six mana isn't much of a requirement to get another Elvish Clancaller out of your deck, and being able to do it at instant speed is crucial. You can make combat even more difficult than it already is for your opponent by representing an activation of Elvish Clancaller, forcing your opponent to either over block or not attack into your potentially larger creatures, and then if it isn't necessary to use, you can use the mana on another spell post-combat. Similarly, against a control deck you can hold up Collected Company if they wrath your battlefield, and if they don't, you can simply activate Elvish Clancaller at your opponent's end step to continue to pressure them while keeping your Collected Company in your hand. This is an aggressive deck that does a great job at lowering the value of the opponent's removal spells, which allows it to grind deep into the late game. 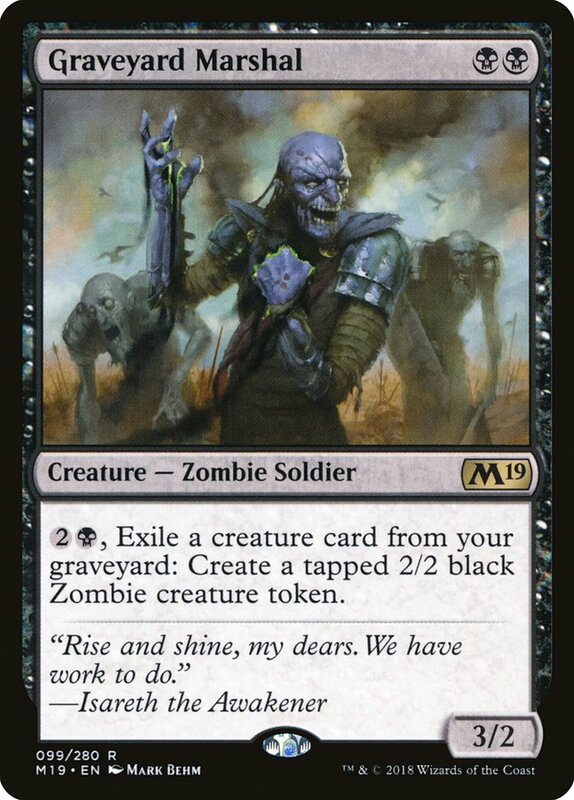 The problem is Mono-Black Zombies doesn't close out the game fast against the non-interactive decks for Modern standards, and doesn't play very well from behind against other aggressive decks, but hopefully the sideboard Damping Spheres and Collective Brutalities help there. As far as new cards go, I'm really excited to try out Liliana, Untouched by Death in this deck. Mono-Black based aggressive decks have traditionally struggled finishing games off after the opponent stabilizes since they don't have access to burn spells like red decks do. However, Liliana's plus ability will often times drain your opponent, which can add up with other early damage as well as Geralf's Messenger in a hurry. I imagine a common play pattern will be to play Liliana, use the plus one to fill the graveyard, and then untap and minus three with access to all your mana. Her minus two ability allows you to have some targeted removal against smaller creatures but can also shrink bigger creatures before combat to keep your opponent from blocking or after combat to finish off a larger creature that blocked. I'm not the biggest fan of Graveyard Marshal for Modern, but it can fit here as a much needed additional two-drop for the deck that you can play early to get aggressive or wait until turn five where you'll be able to activate it immediately. 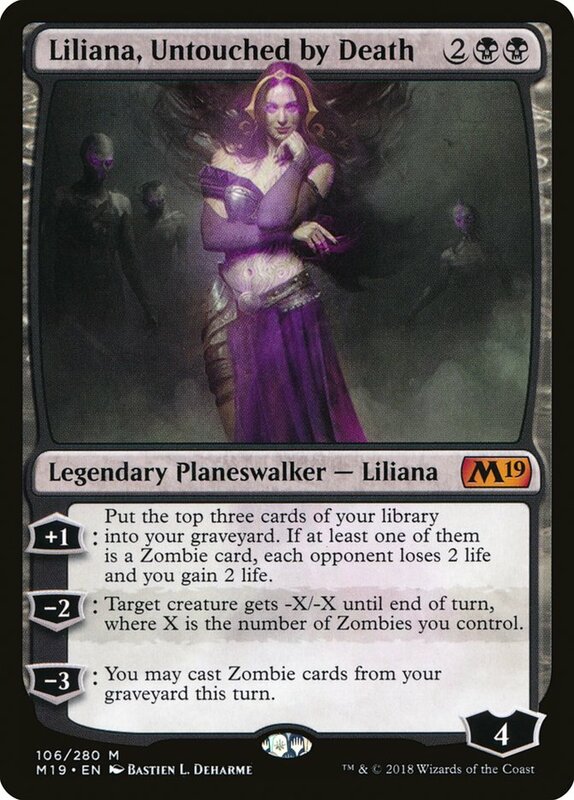 It doesn't pair the best with the creatures that can return from the graveyard in the first place, but with Liliana, Untouched by Death filling the graveyard, there should be enough food for its activation cost. I don't believe Mono-Black Zombies will be a tier one deck, but it's a fun option if you're looking for something different. If you thought I was done with tribal decks, guess again. Skred Red has been a Modern deck that's seen a decent amount of success over the last couple years, including winning Grand Prix Dallas in 2016. We haven't seen too much of it around lately, but with the printing of Sarkhan, Fireblood I'm excited to try it out again with some new win conditions. The first plus one ability on Sarkhan, Fireblood is exactly what this deck wants. One of the biggest problems with traditional Skred Red is the lack of filtering, and therefore it's prone to either flood or missing land drops. 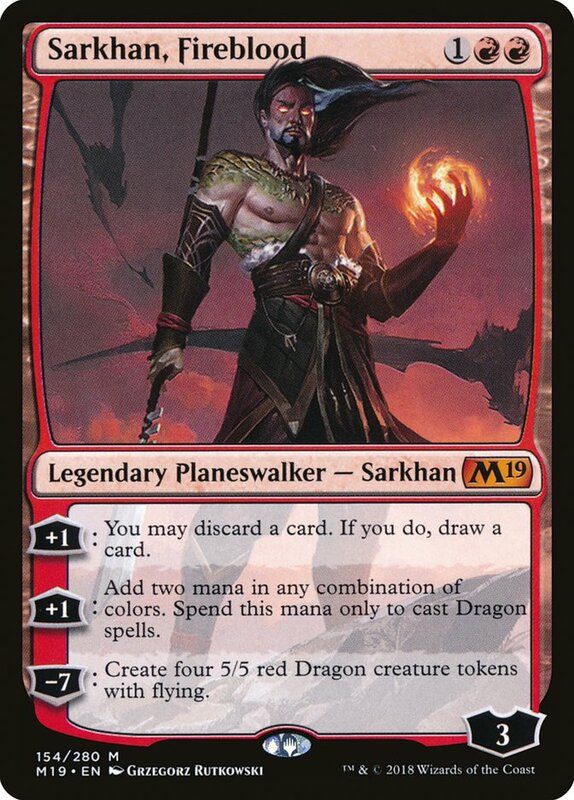 At only three mana, Sarkhan can come down early and help smooth out the draw steps, especially finding important cards for the specific matchup like Blood Moon or Anger of the Gods. 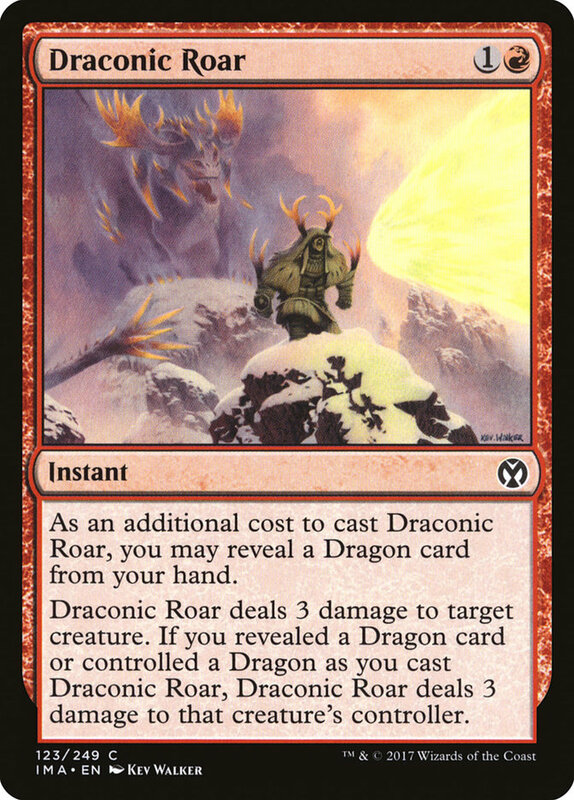 Playing Dragons as our finishers allows us to take advantage of Sarkhan's second plus one, with the extra mana generated allowing us to double spell as early as turn four. 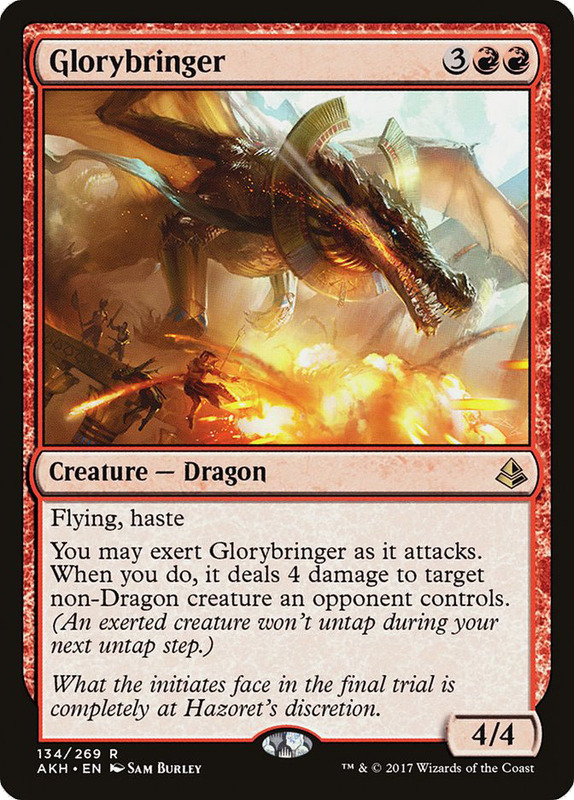 Thanks to Sarkhan, Glorybringer can come down early as a removal spell that hits hard against smaller creature decks or team up with a Lightning Bolt to take down a larger creature. 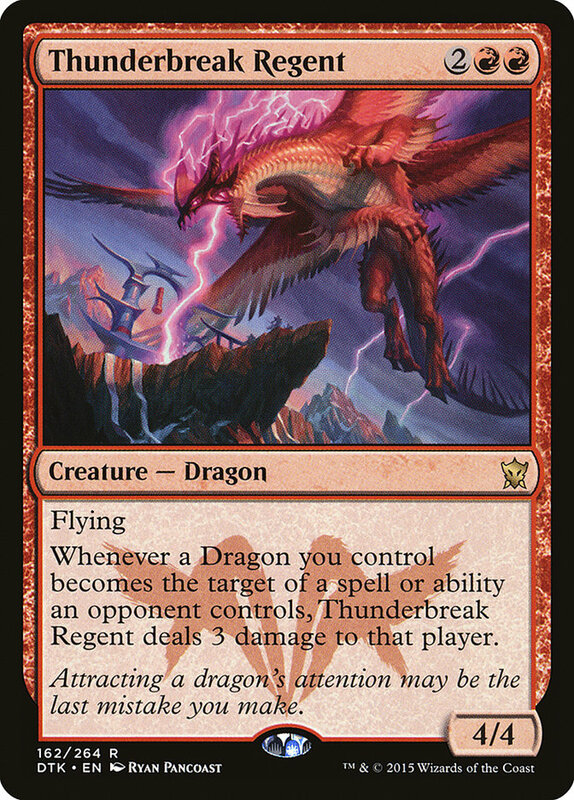 Thunderbreak Regent and Draconic Roar help gives the deck reach against the removal-heavy Snapcaster Mage decks while helping out in other matchups as well. The deck doesn't look like a normal Modern deck on the surface, but Sarkhan, Fireblood has the potential to put Skred Red back on the map in Modern. I built this version of Grixis Control to resemble the Jeskai Control decks that we've seen rise to prominence in Modern. There are so many good spells in the Grixis colors that I wasn't able to fit as many discard spells as I originally wanted to in the deck, and that's an area I'll be keeping my eye out during testing. 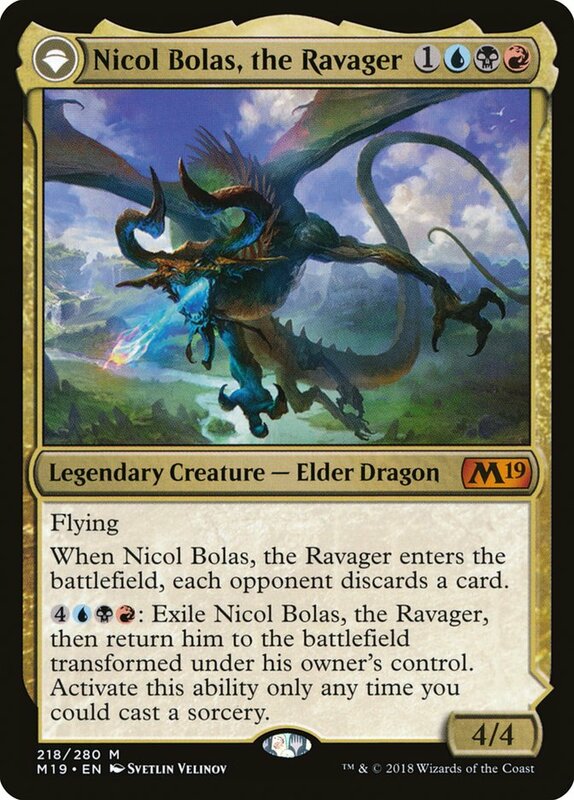 Last week, I talked about how dominant I believe Nicol Bolas, the Ravager could be in Standard after the release of Core Set 2019, and I'm wanting to try it out in Modern as well. I could see it having a similar impact on the format as Huntmaster of the Fells or Pia and Kiran Nalaar. A 4/4 is the perfect size for a format dominated by Lightning Bolt, and it's also a wonderful Kolaghan's Command target in the late game. 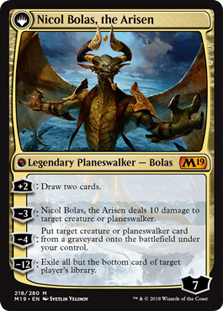 Although I'm going to start by trying Nicol Bolas in a control shell, I could see wanting to play a Grixis Midrange deck instead that focuses more on discard spells and has Nicol Bolas at the top end. Keep your eye out on the Versus Series here on StarCityGames.com® next week as I'll be testing out this deck. Last but not least, I have an updated take on the semi-popular Counters Company archetype. This combo deck has traditionally struggled against the removal-heavy decks of the format, but Ajani, Adversary of Tyrants may be the exact card that the archetype was missing. All of Ajani's abilities are perfectly suited for this deck. Often when you don't have your combo assembled, your battlefield is filled with unimpressive creatures that can't win a fair game, which is where Ajani's plus one ability comes in to make your creatures more formidable attackers. It also has some nice synergy with Kitchen Finks, to reset the persist counter or Devoted Druid to allow it to add more mana. 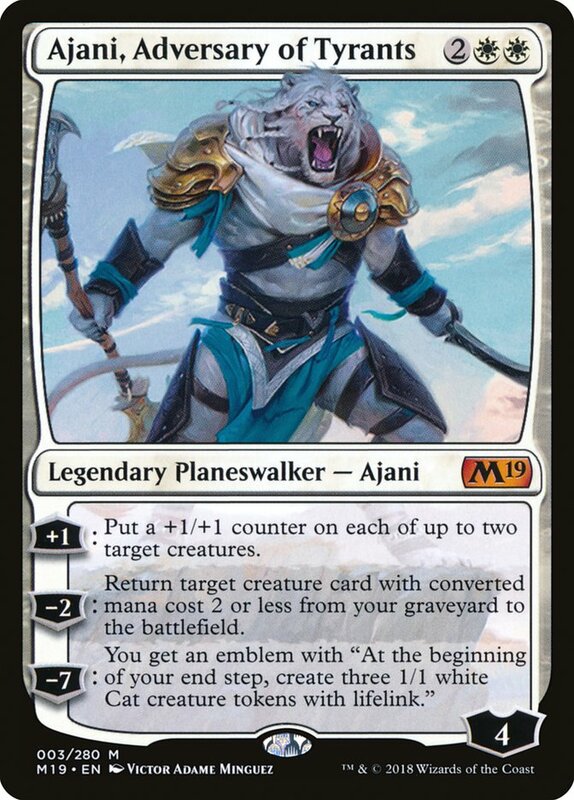 While this is nice, the real reason to play Ajani is the minus two ability which can get any one of your three combo pieces - Devoted Druid, Vizier of Remedies, or Duskwatch Recruiter - back from the graveyard onto the battlefield. I have two extra copies of Ajani in the sideboard, because sideboard games tend to include more interaction from both sides, and that's where Ajani will shine. This is only scratching the surface of the potential impact Core Set 2019 could have on Modern as there are plenty of other cards that are good enough to see play in Magic's most popular format. For example, I'd be very surprised to not see Tezzeret, Artifice Master make an impact this year in Modern. Which cards are you excited to brew with? For myself, these are the decks that I'm excited to play once Core Set 2019 goes live on Magic Online, especially Mono-Black Zombies and Skred Dragons!